The Iranian regime’s default argument in favor of its militant actions is usually for self-defense. Why did we save the Assad regime in Syria? For self-defense. Why did we not object to Assad using chemical weapons against his own people? For self-defense. Why did Iran supply the Houthis in Yemen and foment a revolution that threatened a war with Saudi Arabia? For self-defense. Why did Iran crack down on journalists, dissidents, students, artists and even women who take Zumba dance classes? For self-defense. The Iran lobby was no different with regime advocates such as the National Iranian American Council consistently excusing regime acts such as firing ballistic missiles as a necessary adjunct to national defense in the face of U.S. or Saudi aggression. Few people around the world actually believe these are really acts designed for self-defense so for our purposes, let’s move past the false arguments and get to the real heart of the matter; Iranian regime is posing for the world stage. Dr. Majid Rafizadeh, president of the International American Council, wrote about this in an editorial for the Arab News. “Iran’s military adventurism and destabilizing behavior have reached an unprecedented level that could turn regional tensions into a conflagration. Tehran’s stepped-up interference in Yemen is a direct threat to the Bab Al-Mandab strait and the security of neighboring countries. US officials say Iran is now providing cruise missiles to Yemen’s Houthis,” he writes. “In Iraq, Tehran is obstructing efforts by state and non-state actors to bridge Sunni-Shiite gaps. It seeks to control Iraq, and has started a widespread campaign to influence decision-making and secure a victory for Shiite groups in parliamentary elections,” he adds. He also cites Iran’s first use of ballistic missiles on the battlefield as a disturbing development since it crosses the proverbial Rubicon for Iran in the mullahs’ willingness to use these weapons. “Iran is beginning a new stage in its interventions in Arab countries via its ballistic missile capabilities. This will intensify sectarianism, radicalization and militarization of regional conflicts. If this is met with silence, Tehran will be further empowered and emboldened because it interprets silence as weakness,” Rafizadeh said. “The US and the international community should hold Iranian leaders accountable. This can be accomplished by a combination of political pressure, economic sanctions and force. The US should seek assistance from European allies and a united front with several Middle Eastern powers; this would be a powerful bulwark against Tehran. Sanctions from Muslim countries would be a significant blow to Tehran’s self-portrayal as a leader of the Muslim world,” he added. But none of that has stopped some world leaders from slipping back into questioning whether or not appeasing Iran might not still be a sound policy to follow; all evidence to the contrary. Security Council Resolution 2231 called on Iran not to test ballistic missiles capable of carrying nuclear warheads. When Iran conducted missile tests in March 2016, critics led by the United States were infuriated, calling the country’s behavior a violation of the Security Council resolution and a sign that it would not honor provisions of the nuclear accord. Of course, with the missile launches in Syria, the Iranian regime basically burned Resolution 2231 in a dumpster. Which leads us back to the original issue of the mullahs trying to distract attention from their extremist activities. Brenda Shaffer, a professor with the Center for Eurasian, Russian and East European Studies at Georgetown and a fellow with the Atlantic Council’s Global Energy Center, discusses Iran’s use of ISIS to district from its actions in cracking down in dissidents in a piece for Fox News. “Through recent news reports we’ve learned that those rounded-up as part of the attacks are all members of the Kurdish and Baluch ethnic minorities. The conflict with Iran’s Kurdish and Baluch minorities is not new: Tehran has been battling for close to a decade a much larger insurgency with both groups, without any evidence of direct links to ISIS,” Shaffer said. “Tehran’s focus on ISIS as the driving force behind recent terror attacks is right out of the country’s playbook for dealing with ethnic conflict. Even if the Kurdish attackers cooperated with ISIS, their motivations and goals are very different than other affiliates. And even while dozens of Kurds and Baluch have now been jailed, this conflict is not going away anytime soon. Kurdish, Baluch and other domestic ethnic groups in Iran have extensive grievances and there continues to be fallout from the regular executions of activists from these communities,” she adds. For Iran, the use of fear, distraction and misdirection all are tools to hide the truth. Iranian regime ballistic missiles have moved to the forefront of discussions and military action around the world as events shifted rapidly putting a spotlight on the mullahs’ use of the weapons for the first time on the battlefield. All of the debate and editorials produced by the Iran lobby has always consistently tried defusing Iran’s escalating supply of longer range ballistic missiles as nothing more than a defensive armament, but the recent launching of these missiles at targets in Syria moved them from the theoretical to the practical. There can be no argument now that Iran possesses and has shown the willingness to use weapons that can prove just as destabilizing to the region as nuclear weapons. In fact, the mullahs’ willingness to continue investing heavily in the development of longer-range missiles with heavier lift capabilities and more sophisticated targeting systems makes Iran the pre-eminent threat in the Middle East. The fact that the Iranian regime fought hard to exclude ballistic missile development from the nuclear talks two years ago demonstrates the value the mullahs and the Revolutionary Guard Corps places on these weapon systems. In a practical sense, ballistic missiles provide a longer reach for the IRGC to attack targets far from Iran’s borders and gives the mullahs the political leverage to blackmail neighboring Gulf states for example into compliant behavior. 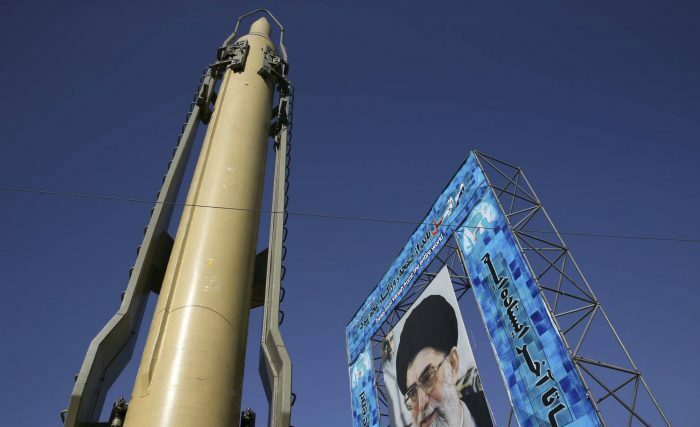 Previous sanctions on Iran’s ballistic missile program from the United Nations Security Council have been largely ignored by the mullahs and the sheer size and scope of its program has been largely unknown to the rest of the world. But Iranian opposition groups did hold a press conference the other day in Washington, DC to disclose additional missile sites previously unknown to the rest of the world. The National Council of Resistance of Iran (NCRI), an umbrella group for Iranian opposition groups, citing sources of coalition member the People’s Mojahedin Organization of Iran (PMOI/MEK) network inside Iran, in this case in Iran’s Defense Ministry & the Islamic Revolutionary Guards Corps (IRGC), has a history of blowing the whistle on Tehran’s ballistic missile program, nuclear weapons drive, terrorism and meddling across the Middle East and beyond, and human rights violations, according to Heshmat Alavi in Forbes. Various aspects of the dozen hitherto-unknown sites involved in ballistic missile production, testing and launches, all controlled by the IRGC, were also unveiled. 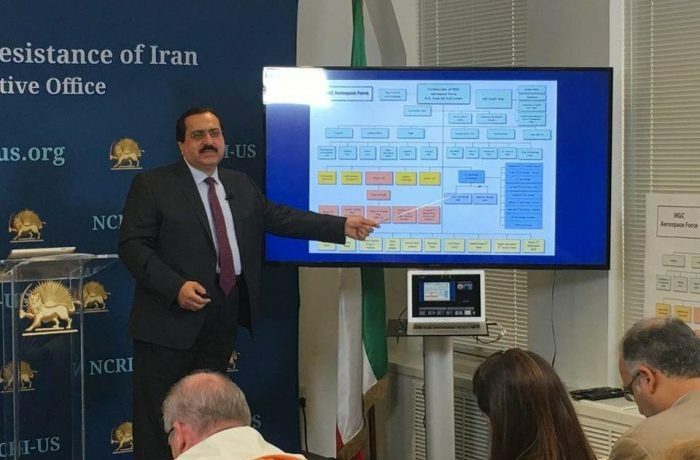 NCRI U.S. Office Deputy Director Alireza Jafarzadeh presented satellite imagery on the sites and details of North Korean experts who took part in the construction of such highly essential centers. The scope of Iran’s IRGC-pursued missile program is far more extensive than previously perceived. In this press conference the NCRI identified the locations of 42 IRGC sites, of which 15 are involved in missile manufacturing and containing several factories linked to a missile industry group. Four of Iran’s most important missile sites are located in the cities of Semnan (east of Tehran), Lar (southcentral Iran), Khorramabad (western Iran) and near Karaj (west of Tehran), according to the PMOI/MEK sources. Iran has only acknowledged the existence of two of these sites to this day, Alavi said. The Semnan site has been actively associated to SPND, Iran’s organization in charge of building a nuclear weapon, PMOI/MEK sources revealed. SPND has carried out many of its tests at this site. SPND is the Persian acronym for the Organization of Defensive Innovation and Research, including Iran’s nuclear weapons program engineering unit. The NCRI first unveiled the existence of SPND in July 2011, leading to its sanctioning three years later. IRGC missile sites have all been constructed based on North Korean blueprints, according to PMOI/MEK sources, adding Pyongyang’s experts have also been present at sites assisting their Iranian counterparts. The existence of the Iranian missile program and North Korean cooperation is not news, but the ramp up in size of the missile fleet and Iran’s willingness to use it now are deeply disturbing to policymakers from Washington to Riyadh. U.S. senators who passed tough new legislation imposing sanctions for Iran’s missile program stated flatly that the Iranian regime now poses the greatest security threat to the U.S. as U.S. warplanes shot down yet another Iranian drone over Syria. 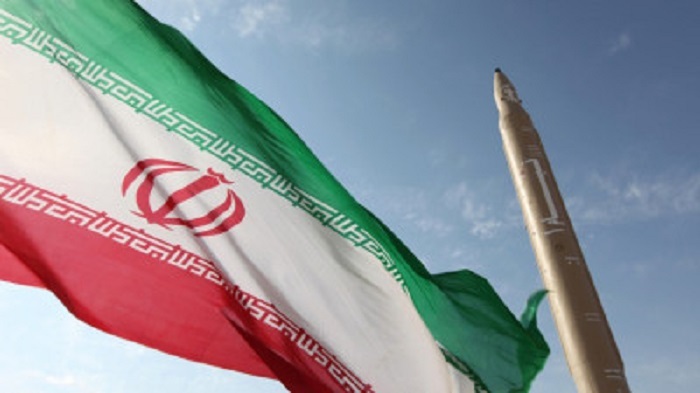 “The Iranians never like sanctions, but if they don’t like them, then they should stop testing ballistic missiles in violation of U.N. resolutions,” said Connecticut senator Chris Murphy. The discussion over Iranian missiles didn’t stop the regime’s ardent supporters from weighing in and coming to the mullahs’ defense, as well as opponents in verbal fireworks rivaling what is happening on the battlefield. Dennis Ross, a former U.S. Mideast negotiator and author, laid out the unpleasant choices left on the table as Iran steps up its military involvement in Syria, Iraq and now the Gulf region. “Amid this confusion, Iran is pressing ahead to strengthen its grip on Syria, even as Trump goes after ISIS. Iran’s intervention to save President Bashar al-Assad’s regime has involved sending not just elite Iranian military advisers but also bringing in Lebanese Hezbollah and other Shia militias from as far away as Afghanistan. While estimates vary on the size of these forces, the numbers are in the tens of thousands. Iran’s sectarian shock troops are being used to extend the regime’s writ, especially as the Syrian regime’s deployable military manpower has shrunk to about 20,000 forces,” he writes in Politico. 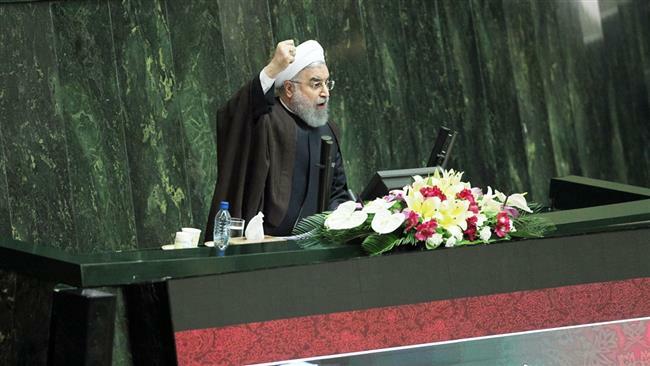 “Iran is actively trying to create a land corridor through Iraq and Syria to Lebanon. To that end, Iran is pushing from within Iraq and Syria, using its Shia militia proxies on both sides of the border. On the Iraqi side, the Shia militias have now largely cleared ISIS from border crossings. Within Syria, Iran has sent significant Hezbollah forces eastward to Deir ez-Zour, a major Syrian city along the Euphrates River. With the U.S.-supported effort to liberate Raqqa under way, Iran wants to prevent any U.S.-backed groups from establishing themselves in eastern Syria—something that could preclude the Iranian aim of controlling Syria’s borders with Iraq and Jordan. (With Hezbollah also now active in the area of Deraa, a southern Syrian city close to the Golan Heights, the Iranians have their eye on the Syrian-Israeli border as well,)” Ross adds. The implications are clear. The price of not confronting Iranian aggression will soon become very expensive, which is what the mullahs are hoping for; a victory without cost is their mantra. The world should make the mullahs have to pay a very heavy price. The Iran nuclear deal is pretty much dead…at least according to the Iranian regime as regime officials on Monday accused the U.S. of violating the agreement by working behind the scenes to stop American companies from conducting business with Iran, according to regional media reports. The regime has been complaining for months that it is not being granted enough sanctions relief under the agreement in a bizarre example of bipolar thinking. On the one hand Iran complains about sanctions relief and on the other it boasts of the billions in new business deals it has signed with foreign companies. 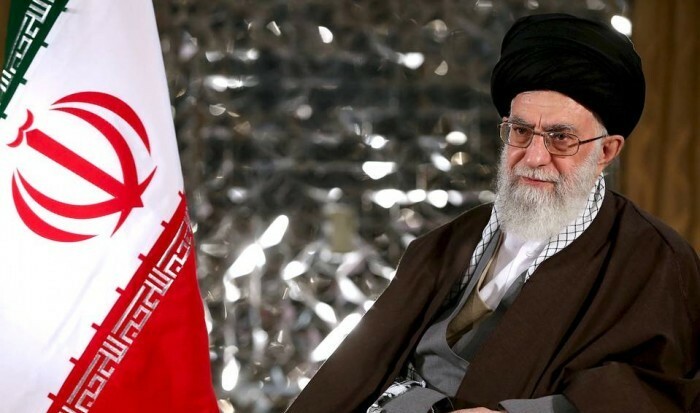 These complaints have reportedly pushed the Obama administration to consider offering Iran greater concessions, including access to the U.S. dollar and American financial markets in an even more desperate bid to appease the mullah’s regime. “The Americans should know that the Islamic Republic of Iran would never compromise its interests and would never agree with investment of foreign firms in the country at any price, while it enjoys rich resources and abundant talents,” Larijani was quoted as saying, obviously bluffing about regime’s bankrupt economy. At the same time, ironically the regime leaders borrowed from President Obama’s own rhetoric in warning the U.S. not to cross a “red line” when it came to sanctioning the regime’s ballistic missile program. Brig. Gen. Massoud Jazzayeri, deputy chief of staff of the Iranian military, claimed the Obama administration has been intentionally prolonging the removal of sanctions as outlined by the nuclear deal. He believes the U.S. is trying to connect the terms of agreement with the regime’s ballistic missile program, which it explicitly sought to delink during talks last year. “The White House should know that defense capacities and missile power, specially at the present juncture where plots and threats are galore, is among the Iranian nation’s red lines and a backup for the country’s national security and we don’t allow anyone to violate it,” said Jazzayeri, as reported by Iranian media outlet and government mouthpiece Fars news. The regime’s full-court assault on the Obama administration over the nuclear deal is part of an overall effort to set up the potential for walking away from the deal and blame its failure on the U.S. Such a move would allow Iran to restart its nuclear program with speed after it has received over $100 billion in fresh cash to stuff its coffers and complete a series of military deals with Russia to replenish and upgrade its forces. Part of strategy can be seen in a series of moves to expand and reinforce its proxy forces currently fighting in Syria and Yemen, including deploying a top army unit to Syria in what commanders call an advisory mission, according to state-run media. Regime general Ali Arasteh, deputy chief liaison of the army’s ground force, said the unit comprises “commandos” in a force from the 65th NOHAD — a Persian abbreviation for Airborne Special Forces Brigade. “We are sending commandos from army’s Brigade 65 and other units to Syria as advisers,” Arasteh told the Tasnim news agency. The move bolsters an already robust Iranian military presence in Syria, analysts say. In the last two years, Iran has sent thousands of its Revolutionary Guard Corps (IRGC) to fight ground battles for the Syrian regime, joining with Iranian-backed Hezbollah fighters from Lebanon. Tehran reportedly increased the number of IRGC personnel in Syria in the final months of 2015, sending as many as 3,500 militia fighters to the frontlines, as well as recruit paid Afghan mercenaries to supplement its forces. Additionally, the U.S. Navy intercepted and seized an arms shipment from Iran likely bound for Houthi fighters in Yemen in the Arabian Sea in a statement on Monday. The weapons seized last week by the U.S. warships Sirocco and Gravely were hidden on a small dhow and included 1,500 AK-47 rifles, 200 rocket-propelled grenade (RPG) launchers, and 21 .50-caliber machine guns, according to the Navy statement. “This seizure is the latest in a string of illicit weapons shipments assessed by the U.S. to have originated in Iran that were seized in the region by naval forces,” the statement said. It cited a Feb. 27 incident in which the Australian Navy intercepted a dhow in late February and confiscated nearly 2,000 AK-47s, 100 RPG launchers, and other weapons. On March 20, a French destroyer seized almost 2,000 AK-47s, dozens of Dragunov sniper rifles, nine antitank missiles, and other equipment bound from Iran to the Houthis. The evidence is abundant and widespread of the regime’s aggressive posturing and direct involvement in causing the wars now ranging in three different countries. The mullahs the last few months before the presidential election as a fire sale to grab everything they can before the appeasement potentially ends since virtually all of the leading candidates – both Democrat and Republican – have vigorously denounced Iran’s actions. Ironically the Iran lobby has pushed the same party line as the mullahs in accusing the U.S. of not following through on the nuclear deal. We can only hope the region doesn’t fall so far into a bottomless black pit of Islamic extremism and war that the world can’t dig the cancer of the Iranian regime out in 2017.